Although our services are applicable in a wide variety of scenarios beyond our listed services, our primary offerings include smoke and soot puffback cleaning, fire damage restoration, air duct cleaning, water damage restoration, carpet cleaning, content cleaning and pack-out services, and mold remediation. To speak with one of our representatives, simply dial (631) 206-6808. Our lines are open 24 hours a day, and we can arrive on-site in the event of an emergency within the hour. In Suffolk County, NY, severe storms, blizzards, burst pipes, overflows, leaks, and similar events can lead to large amounts of excess water in a hurry. This is especially troubling when it occurs within homes and office spaces because of the largely porous building materials that can be affected. This is before personal belongings, furnishing, appliances, and electrical equipment are taken into account. To reduce the disastrous effects of water damage, we encourage you to make use of our water damage restoration services here at RestorationMaster. We will eliminate excess moisture, sanitize affected areas and belongings, and restore structural elements and personal items that have been damaged. Few disasters can cause as much damage in a home or building as indoor flooding. Standing water penetrates porous building materials such as drywall, flooring, and wood which causes discoloration, warping, and eventually structural damage. The level of damage, and risk of mold growth, will only increase until the flood water is removed, and the area is restored. RestorationMaster provides flood damage restoration services to remove flood water from affected homes and businesses in Suffolk County, NY. We will immediately remove the flood water with our advanced equipment, and fully clean and restore damaged areas and objects. Seeing a fire take hold on your property is a harrowing experience. Not only is your building at risk, but so too is everything inside. If this occurs, first dial 911 and evacuate everybody that you can. Then you must immediately contact us here at RestorationMaster if you want to give your property and belongings the greatest odds of making a full recovery. Fires can leave behind a wake of destruction. 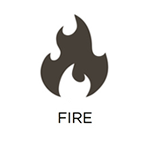 Our fire damage restoration services are most beneficial immediately after a fire because of the time sensitive nature of these circumstances. 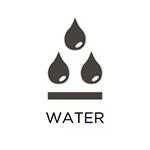 We will restore, sanitize, and deodorize affected areas and personal items to the fullest extent possible. We offer this service to property owners in Suffolk County, NY. Fires and furnace puffbacks are troublesome enough in their own rights, but the resulting smoke, soot, and other corrosive byproducts can actually cause quite a bit of damage. Discoloration, etching, and corrosion are all possible, which is why we encourage you to take advantage of our smoke and soot puffback cleaning services. Our RestorationMaster technicians will make use of powerful chemical cleaners to properly treat specific materials that have been affected. This will limit any damage, and make our restoration and sanitization services overall more efficient and cost effective. We proudly service homeowners and business owners in Suffolk County, NY. 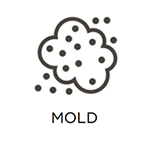 Mold growth can become a major problem in both residential and commercial settings within Suffolk County, NY. This is because of the ease with which mold can spread, and the damage it can cause. All it needs is an organic food source and excess moisture. Once it takes hold, it will continue to spread its spores as far as it can. Here at RestorationMaster, we will nip this nuisance in the bud before it has the opportunity to damage structural elements and personal belongings, and cause severe health consequences. Through our mold remediation services, we will identify all affected areas, eliminate the mold, and then restore anything that has been damaged. At RestorationMaster, we offer content cleaning and pack-out services to homeowners and business owners in Suffolk County, NY. In essence, this service addresses your personal belongings, important documents, electronics, etc. that have been damaged by a fire, flood, severe accident, or similar event. Depending on the condition of your property, we will repair, sanitize, and deodorize your items either on-site or at one of our climate controlled facilities. If we must restore them at our location, we will also provide you with a complete inventory of your belongings, and store them until it is safe enough to return them. Over time, air ducts become lined with dirt, dust, pollen, and other debris that can significantly reduce the air quality of your building, and hurt the performance of your HVAC system. At the end of the day, this can increase the severity of allergies, and raise your energy bill. To combat this, we recommend that you take advantage of our air duct cleaning services here at RestorationMaster. We will sanitize your entire HVAC system, including your air ducts, in order to vastly reduce these risks. We offer this service to business owners and homeowners in Suffolk County, NY. In commercial and residential settings, the condition of your carpeting can leave a lasting impression on all manner of guests. This, along with the fact that carpeting can deteriorate, become discolored, and get severely matted down over time, is why it is recommended to get your carpets professionally cleaned on a regular basis (once per year for homeowners, while businesses sometimes need daily cleanings). Here at RestorationMaster, we utilize professional-grade sanitization equipment and solutions to extract debris that standard vacuums cannot reach, and remove stains that typical cleaners cannot penetrate. We offer our carpet cleaning services to property owners in Suffolk County, NY.